The Joy of Soulful Knitting explores the often awe-inspiring parallels between spiritual life lessons and lessons learned from two sticks and some string. This insightful and thought-provoking book is a comforting companion for travelers on the road to Soulful Knitting. In it you’ll discover how to infuse your knitting experience with peacefulness, power, and purpose. 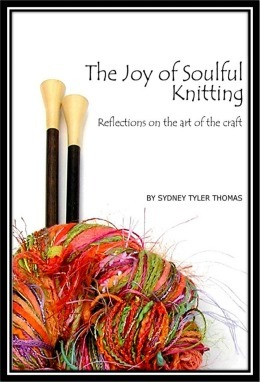 Written from and for the heart, this uplifting book is a "must have” for knitters who are passionate about the art of their craft and who truly want to experience the joys knitting and life have to offer.